Guys, received this private message and can't quite make out what's wrong with his PT. His engine is different from our but don't think that would matter with his problem. Anyone figure out what he's saying and maybe suggest a solution? Thanks. I AM ITALIAN AND HERE IN ITALY NOBODY KNOWS solve my PROBLEM . SAI GIVE ME ADVICE ? THINK MAY BE IOS 17 BLUE Ranked # 17 ? And excuse me X DISORDER . Very hard to give advice without asking more questions. 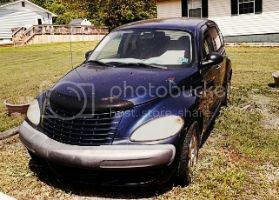 Do you know if the PT Cruiser still cranks or does nothing when trying to start it? Is the red security light on the dash staying lighted up when trying to start it up? I can PM him back and ask. Can't hurt. Don't know what time it is in Italy. Italy is 6 hours ahead of you in the Eastern Time Zone. We're talkin' with "MAX" from Italy. It could be his RKEM has gone south and has to be replaced with a calibration, relative to his comment, "REMOTE CENTRAL Locks at NE NE NE NE CRUISE CONTROL" may mean his Cruise Control isn't working. This might be resolved if he checks the electric plug on the Cruise Control Unit above the right shock tower. The plug may be loose, not inserted or not in the lock position. Also make sure all his control cables are hooked up. These are found at the juncture under the cover box. "MI NOW PLAYS THE HORN EVEN CN MACHINE OFF", could mean his horn is blaring constantly. That could be any number of things IE horn button, wiring short, incorrectly hooked up electrically or a dysfunction of the horn itself. I can't make heads or tails of; "THINK MAY BE IOS BLUE Ranked # 17." In reference to his second thread, I think he's responded to ptcruisersteve's questions. (1) is the red security light on the dash staying lighted when trying to start up? His answer was; "NO.....DASHBOARD LIGHT TURN OFF". 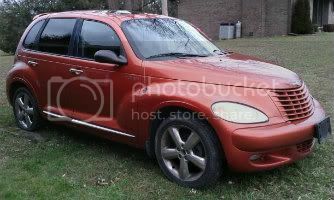 (2)Do you know if the PT Cruiser still cranks or does nothing when trying to start up?s answered; "AND THE MACHINE GOES ON MOTORCYCLE TRAVEL WELL". This probably means his engine runs OK while driving. As far as his fuse comment, he could always check for continuity on the fuse in question.That's the sense I've made of it. Can we help him? Actually, I think ""THINK MAY BE IOS BLUE Ranked # 17." may be that he's talking about the IOD fuse which is the #17 fuse in the fuse block for the first generation cruisers. That "he thinks it may be" that fuse, I don't see why he just didn't change it if that's what he thinks the problem might be. Things are hard to Come by in some countries. I do think your right on the fuse thing. If it is the same Circuit on his. Does straight drive PTs have limp mode. The motorcycle thing? 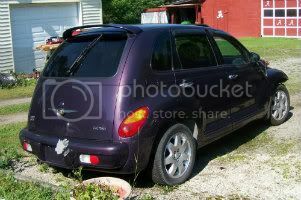 Is the horn constantly blowing or is it honking? He hasn't been back to the forum since yesterday at 5pm EST.